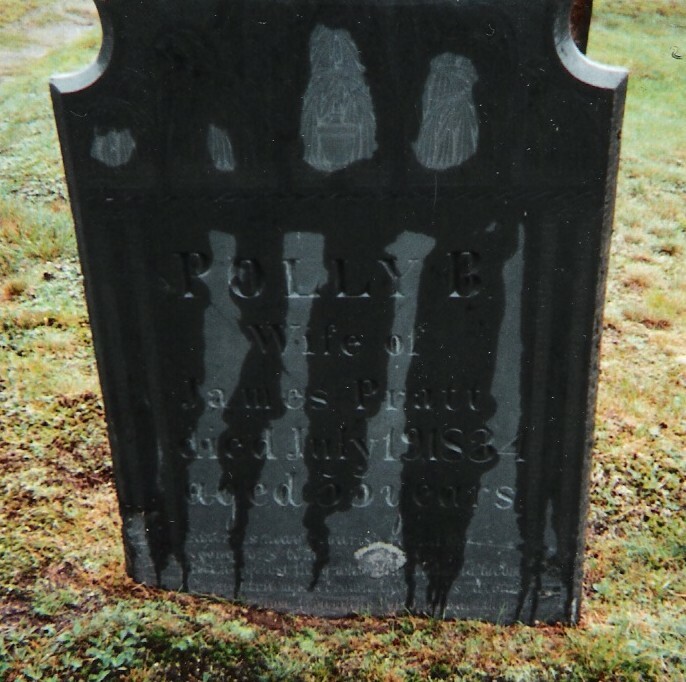 16251.9 Polly 6 BIGELOW, dau of James 5 ( James 4 , Jonathan 3 , Joshua 2, John 1), and Mary (SAWYER) BIGELOW, was born 16 August 1779 at Templeton, Worcester county, MA. The family removed to Maine, and at Skowhegan, on 04 January 1810, she married James Pratt, son of Micah Pratt. He was born 04 January 1779 at Abington, MA. They lived in Skowhegan, Somerset co, ME, where James died 28 July 1855 (see below), and Polly on 19 July 1834. 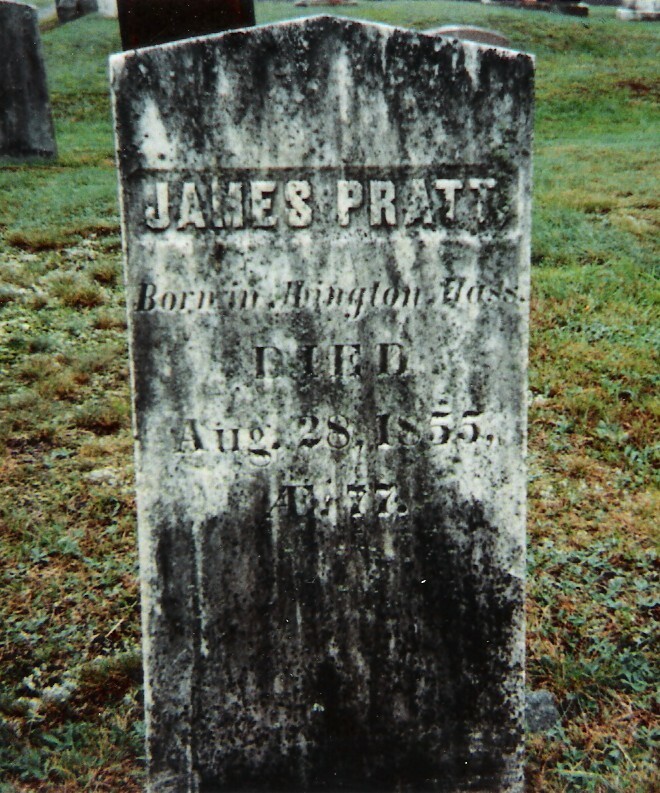 16251.91 James Pratt, b 07 Sept 1810 Canaan (Skowhegan), ME; d 07 Mar 1864 Skowhegan; m Amy Tidd. 16251.92 Malvina Pratt, b 25 Oct 1812 Skowhegan, ME; d 05 May 1875 Boston, MA; unm. 16251.93 Levi Pratt, b 24 Sep 1814 Solon, ME; d 06 Apr 1885 Boston, MA; m Evaline Kendall. 16251.94 Edward Pratt, b 03 Mar 1816; died young. a. Gardner C. Pratt; res Hutchinson, Reno co, KS. b. Lyman A. Pratt; res Redfield, SD. c. Edwin Pratt; d ae 4. 16251.96 Mary Pratt, b 20 May 1819 Skowhegan, ME; d 10 Jan 1846; unm. 16251.97 Benjamin Pratt, b 28 Feb 1822 Bloomfield, ME; d ___ ; m 28 Feb l848 Almira Smith(b 1821; d _ Apr 1889); res Los Angeles, CA. History of Ripon county, WI.